Today we’re going to focus on your user’s profiles. Here’s what they’re all about and how you can use them to your advantage! To access user profiles, simply go to your dashboard on the Launchleap website, where you’ll find the User tab. Once there, you can click on any name to access their profile. The following section shows you the different custom keys associated to the person. 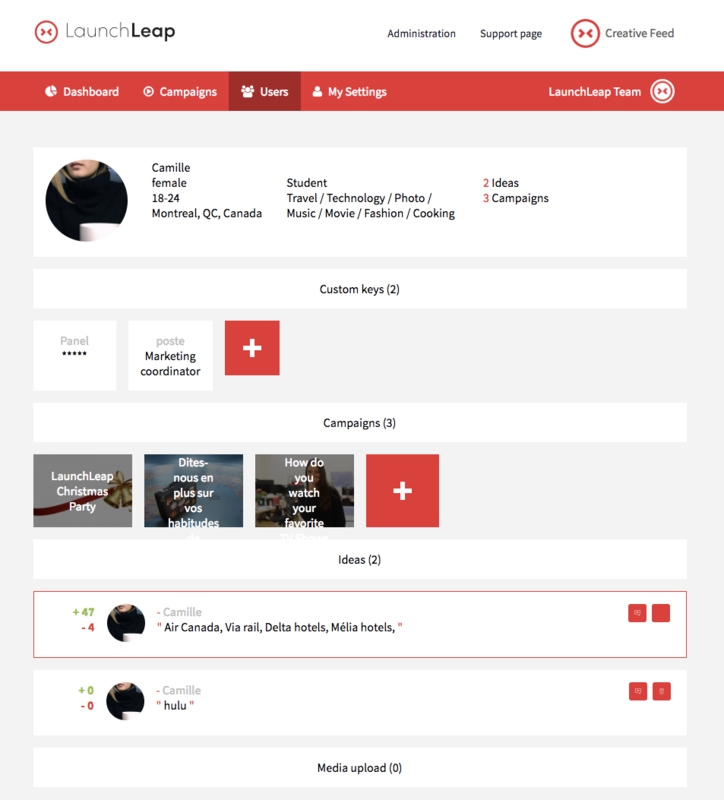 You can tag your users based on their engagement with your campaigns (ex. a Panel tag with 5 stars for your VIP users “*****”), on their occupation (ex. Marketing coordinator) or whatever other criteria that suit your needs best. At the end of the profile, you can see what comments the person left in your campaigns as well as the media they might've uploaded.